Pedro Canale, the Argentine musician better known as Chancha Via Circuito, got his start hawking merch in the back of the room at the formative Buenos Aires club night Zizek. A decade later, don’t expect to find the 36-year-old Canale burning the midnight oil. But with age comes wisdom, as evidenced by Canale’s fourth full-length release, the wondrous Bienaventuranza (“Bliss”) that drops June 8 via Wonderwheel Recordings. It’s a joyous album that sees the taciturn producer further refine a sui generis aesthetic that has helped stamp a sound steeped in folklore and brewed with electronics emanating from places like Buenos Aires and Quito on labels like ZZK and AYA. Arguably, no one is more responsible than Canale for pushing forward this sound, originally the cumbia digital that caught the underground electronic music scene by storm in the mid- to late 2000s. His momentous sophomore album Río Arriba was a radical departure from the dance floor impulses that sought to make nostalgic cumbia into something new and hip. Many artists followed that wave, but few evolved the way Canale has. In his case, propulsive cumbia rhythms have taken a backseat to other Andean folkloric sounds. On Bienaventuranza, Canale dabbles in huayno, the highland music that’s rich with strings and brass and has roots in Quechua communities in Bolivia and Peru. It’s also the ceremonial music for Northern Argentine carnival, the source of the googly-eyed llama that peers back from the album’s cover. Ensconced in his studio for the four years since 2014’s Amansara, Canale brought in a bevy of instruments for the 12 tracks on Bienaventuranza: charango, flute, bombo legüero, caxixi, djembe, and balafon, to name a few. On the handful of vocal tracks, fellow digital folklore practitioners, like Ecuador’s Mateo Kingman and Colombian-Canadian artist Lido Pimienta lend their voices. On stage, Canale plays charango and flute, his wife Kaleema sings, and porteño percussionist Federico Estevez keeps time on various drums. Lately, they’ve been getting a curiously odd number of bookings at psytrance festivals, which is not exactly Canale’s favorite genre. Indeed, the West Coast festival scene has warmly embraced Canale. For one, Canale is looking forward to a relaxing weekend at the Beloved Festival on the Oregon coast in August. That’s precisely the vibe Chancha Via Circuito thrives in. “Daytime festivals in forests are the best, surrounded by nature,” he says. Unsurprising for an artist who relies heavily on birdsong in his sampling repertoire. 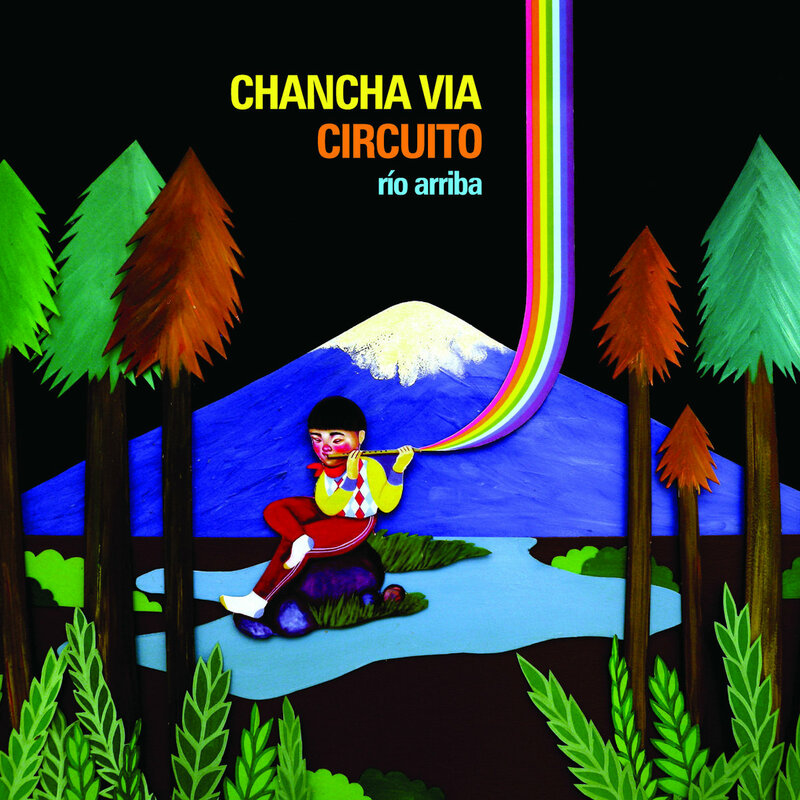 Chancha via Circuito’s Bienaventuranza drops June 8 via Wonderwheel Recordings.